When she was a toddler, Jessica Goodfellow’s twenty-two-year-old uncle, along with six other climbers from the 1967 Wilcox Expedition to Denali, was lost in an unprecedented ten-day storm blasting winds of up to three-hundred miles per hour. Just as North America’s highest peak is so massive that it has its own distinct weather system—changeable and perilous, subject to sudden whiteout conditions—a family whose loved one is irretrievably lost has a grief so blinding and vast that it also creates its own capricious internal weather, one that lasts for generations. 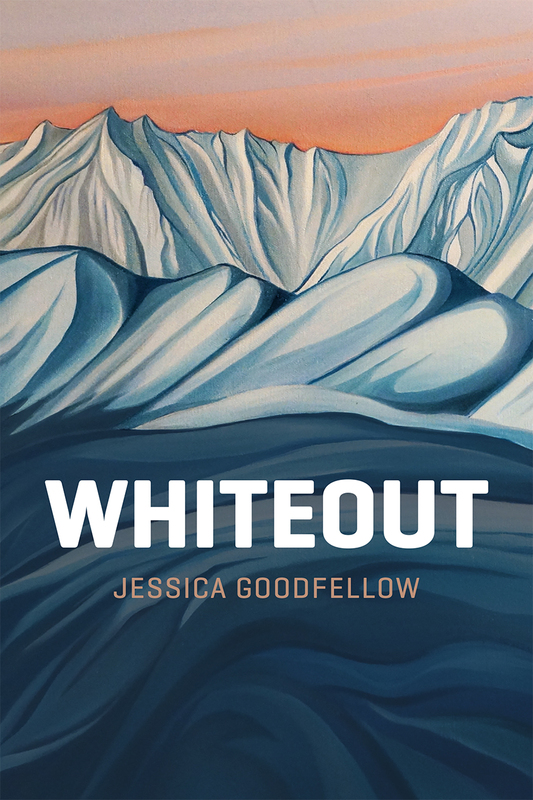 Whiteout is Goodfellow’s account of growing up in this unnavigable and often unspoken-of climate of bereavement. Although her poems begin with a missing body, they are not an elegy. Instead, Goodfellow struggles with the absence of cultural ritual for the uncontainable loss of a beloved one whose body is never recovered and whose final story is unknowable. There is no solace here, no possible reconciliation. Instead, Whiteout is a defiant gaze into a storm that engulfs both the wildness of Alaska and of familial mourning.